This probably isn’t the first time, but we’re doing things a bit bass ackward this week. That’s what happens when someone is nice enough to send something for free along with a recipe, and then that recipe turns out to be a very acceptable variation on a classic which we haven’t gotten to here yet. So, we’re doing the variation first. We’ll get to the “real” drink later. In the case of this week’s drink, my old friends — and I do mean “friends” — at Canadian Club saw fit to send me another of their very nice off-the-beaten track expressions and one I hadn’t tried before, Canadian Club Sherry Cask. It’s pretty much exactly what you’d expect, a slightly more complex variation on their highly underrated original whiskey. It boasts a very nice sherry finish and just enough extra alcohol to be interesting at 82.6 proof, as opposed to the usual 80 proof. It’s actually very drinkable just on the rocks and I’m sure would work nicely in most of your basic cocktails. It was nice — almost too nice and gentle — in an Old Fashioned. I imagine it would make a delicious Manhattan, but I’ll have to try that one out. As for this week’s drink, a traditional Brooklyn is made with rye whiskey, a more peppery flavored relatively distant relative of Canadian whiskey. It also features dry vermouth. 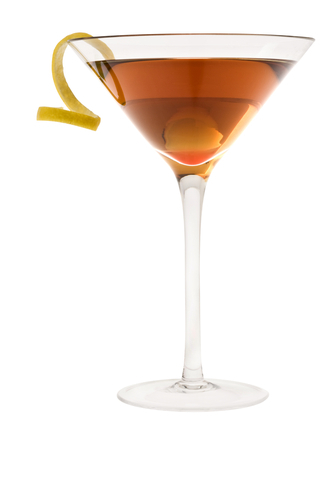 This version features sweet vermouth, and the proportions are different as well. It’s safe to say that the Canadian Club Brooklyn is a lot sweeter than the classic. I’m sure a lot of people will prefer it. 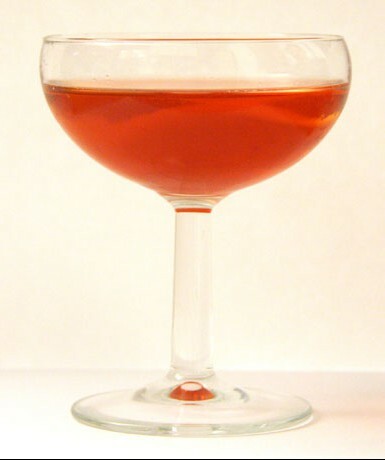 Combine the whiskey, vermouth, Torani Amer, and maraschino liqueur in a cocktail shaker or similar vessel. If you’re a purist stir; if you’re me, shake. Strain into a chilled cocktail over your preferred cocktail cherry. Contemplate the fact that that, considering the way people are constantly tinkering with drinks, there’s no way I’ll ever run out of drinks to write about. 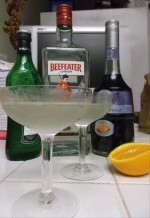 Now is the time at Drink of the Week when we discuss ingredients and their discontents. For starters, both the classic recipes with dry vermouth and rye and the one I received from Canadian Club contain a little known bittersweet liqueur called Amer Picon. There are only two problems with this. 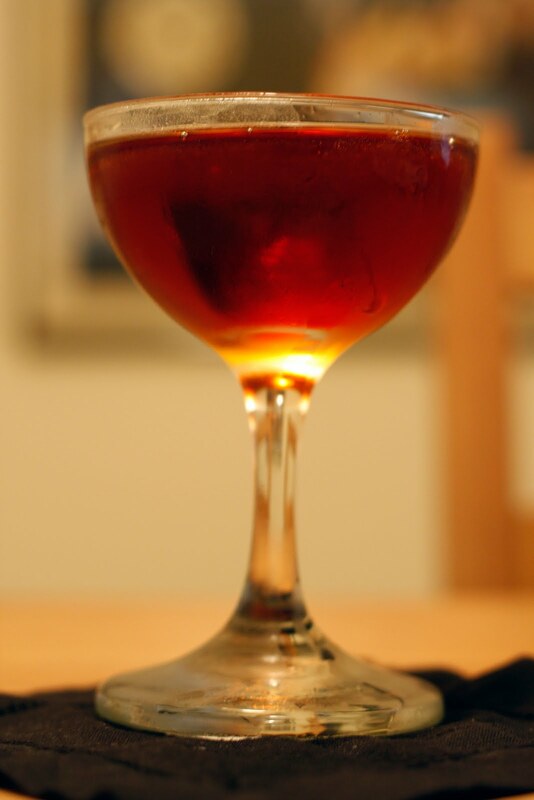 First, Amer Picon’s recipe has changed so much over the years that some expert mixologists no longer recognize it as a proper ingredient for a Brooklyn. Also, Amer Picon is unavailable in the United States. On the other hand, many consider the 78 proof digestif, Torani Amer, to be far closer to the original Amer Picon recipe…and you can pick it up about $10 or $11 at BevMo. So, I used that. My first tries were made using the universal fall back sweet vermouth, Martini & Rossi. It was very drinkable, if a bit medicinal…in a good way, I think. Less like Robitussin and more like some of the now forgotten medicines my mom gave me back in the Paleozoic era when rock and roll was still slightly controversial. Then, as fortune would have it, a long awaited bottle of Carpano Antica Formula Vermouth arrived from another benefactor. We’ll be discussing this stunning fortified beverage again very soon but, trust me, it’s worth the extra money if you’re into sweet vermouth. In this version of a Brooklyn, well, it was kind of perfect. Gone was the pleasant but non-idyllic medicine flavor and in it’s place was a lovely chocolatey undercurrent. This is the way to make this particular drink, I think.